You can count on Sinclair Pharmacy to help you maintain a healthy lifestyle after your ostomy surgery. We are here to work with you to find the solutions that suit you best. We focus on personal care and helping you live your best life with an ostomy. Our selection of ostomy supplies includes ostomy pouches, adhesives, clips, flanges, pastes, powders, barriers, odour eliminators and ostomy clothing. 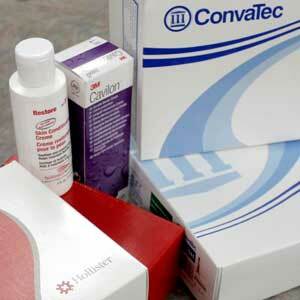 We carry the ostomy supplies you use. If you don’t see the product you are looking for we’ll order it for you. Our free delivery makes it convenient to ensure you have what you need. Call us or send a message to a Sinclair Pharmacist about finding the right type of ostomy supplies for you. We are here to answer all of your health questions. For information on assistance paying for ostomy supplies see Ontario Ministry of Long Term Care website.